NEOOPS highly values and considers important meeting its clients. Not only to simply stay in touch, but most of all to share RPA trends, client’s experience from their RPA projects and also to be aware of challenges they face during the daily operations. And the workshop format already proved to be the right one to hit the goal. This time, the agenda was focused on Centre of Excellence – what exactly it is, how to build it and scale it in an organization? What are the different approaches to set it up to fit the organization size, structure and needs? NEOOPS Managing Director Jan Rapala and Head of Professional Services Zdenek Kabatek introduced the concept and operating model principles, such as: what benefit a Centre of Excellence can bring to an organization, how to design RPA organization structure, select processes suitable for automation, how to manage RPA projects (methodology), define management, reporting, scheduling and exception handling process, establish governance and define RPA roles and responsibilities and how to define technical environment. 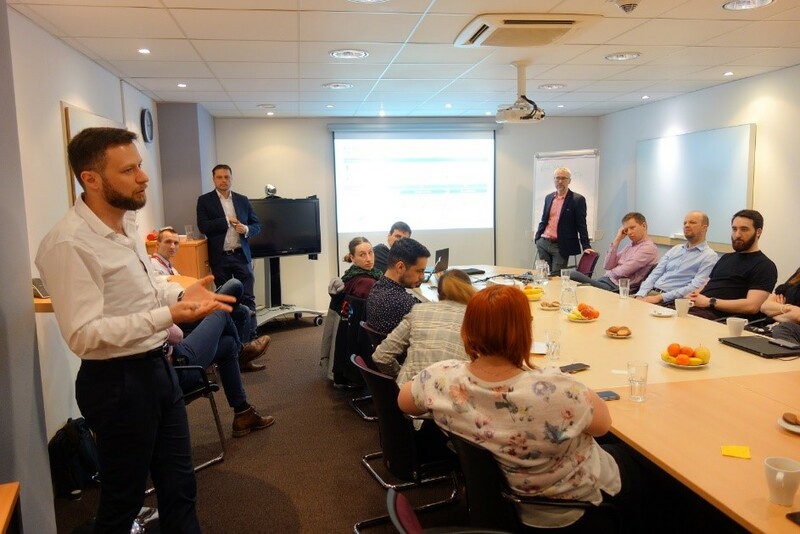 Nicolay Goldovich, the Global Head of RPA in Siemens, presented his own practical experience with the Centre of Excellence implementation in Siemens, including successes achieved but also challenges met along the journey, explaining the ways they faced them, mentioning lessons learnt. His very illustrative presentation initiated a brisk discussion among the audience, sharing their own experience or raising questions to get more insights as for their own Centre of Excellence plans and projects. The discussion and experience exchange continued even after the formal part of the workshop ended, during an informal snack. The RPA meeting convinced us over again that it makes sense organizing such an event regularly and we are already looking forward in meeting again soon in 2019! 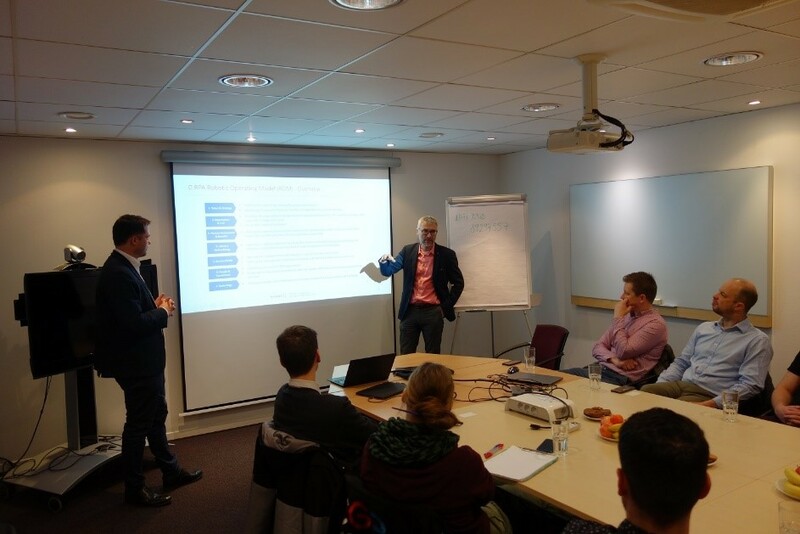 Jan Rapala and Zdenek Kabatek presenting the robotic operating model. Nicolay Goldovich explaining the Centre of Excellence implementation in Siemens.